The YAMAHA Motor is a well known name in the auto mobile market. Yamaha launched the new model of Yamaha SZ. It's Yamaha SZ X has got a lot of appreciation from users and is also awarded as best bike in viewer’s choice. If you want to know more, go through the Yamaha SZ review as well. The technical feature of the bike makes it very impressive. The displacement of this engine is 153cc. The bike has a 4 strokes, air cooled SOHC type engine. The overall dimension of the bike is 2050X730X1040MM and the engine of this bike is equipped with the single cylinder layout. This bike has multiple clutch and wet type. This bike has CDI ignition system. What adds to the look of the bike is a diamond frame and headlight with halogen bulb fitment of 12v/35/35w. The transmission system of Yamaha SZ is equipped with the 5 speeds gear box of constant mesh type and the bike accelerates and disappears in seconds. 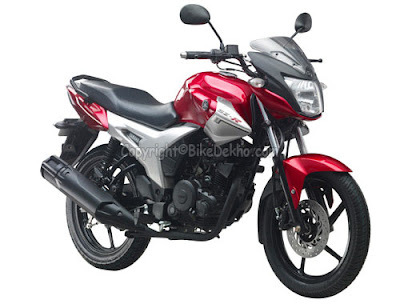 The bike is kick start and also available in self start mode with a little more expenses. The fuel tank of the Yamaha SZ is of 14L. This bike has the compression ratio of 9.5:1. This bike has a minimum ground clearance of 165mm. For electrical supply, battery of 12v, 5AH (10AH) is fitted in the bike. The tyres are also impressive and add to the looks of the bike. The dimension of the front tyre is 2.75-17 and the dimension of rear tyre is about 100/90-17. The brake system of this motor bike is equipped with the drum type brakes and the front brake is 150mm and the rear brake is 130mm. Regarding the suspension system of the bike, the front suspension of the bike is telescopic and the rear suspension of the bike is swing arm. The primary to secondary reduction ratio of the Yamaha SZ is 3.409-3. The maximum power that can be built by the engine is 12.1PS/7500 rpm and the maximum torque to the engine is 12.8nm@4500 rpm. 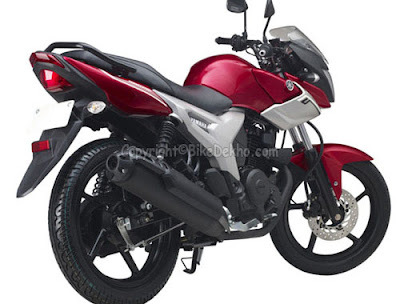 The bike is made available in red and black colors and the Yamaha SZ Price is RS. 52, 000. The bike has been fitted with some electronic meters like analogue fuel gauge, analogue tachometer and pass light and low fuel indicator. The wheels of the bike are alloy wheels but the tyres are not tubeless. The engine oil volume of the bike is 1000ml. The bore and stroke ratio of the bike is 58X57.9mm. The height of the seat is 802mm and the maximum weight of the bike is 132kg. All these features made this bike win viewers choice award. The bike will surely give a healthy competition to the market and will leave a good image on buyer.